It affirms our identity as children of God. It unites us more firmly to Christ. It increases in us the Gifts of the Holy Spirit. It strengthens our bond with the Church. It strengthens us to spread and defend the Faith by our words and actions, to be fearless witnesses to Christ and the power of the cross. In the Newport-Fort Loramie Pastoral Region (St. Michael and Ss. Peter and Paul parishes) freshman year is dedicated to preparing for and receiving the Sacrament of Confirmation and then learning to effectively live as a strengthened member of the Church. We use two primary resources for our Confirmation program. 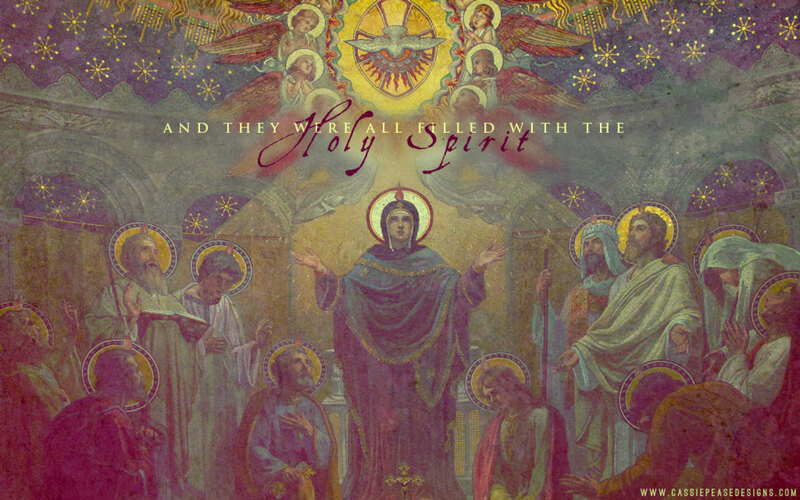 "Anointed in the Spirit" by St. Mary's Press and CHOSEN by Ascension Press. For a sample of the CHOSEN curriculum and to learn What Happens at Confirmation click here.